Greetings! Your update – most welcome and interesting, your setting, enviable. I have just finished The Pink Suit, a qualified recommendation, Dorothea Benton Frank’s The Hurricane Sisters – a thumbs up for fans of D.B.F., and Euphoria – again, a gentle recommendation. I am currently reading Sebastian Barry’s The Temporary Gentleman – a beautifully written, quiet, absorbing, transporting story. My next reads – the two most recent Jojo Moyes offerings – One Plus One and The Girl Left Behind. Looking forward to your next posting. Susan P.
Susan, I absolutely loved The Temporary Gentleman. I think Sebastian Barry might be one of my fop five authors. His writing is gorgeous! Hope all is well in Lake Forest. I recently read Bittersweet (excellent),Hurricane Sisters, and China Dolls. Now I am reading The Cookbook Collector (came out 4 years ago). I will read Matchmaker next…..Erin Hilderbrand’s latest. Carolyn, I just finished Bittersweet — what a page-turner! It reminded me a lot of We Were Liars. I loved The Cookbook Collector! I think I’m going to read And Still We Rise by Laura McBride next. Hope you’re having a good summer! Little Mercies is on my TBR list, and I have The Arsonist and Bittersweet sitting here in my latest library-haul pile–I’m hoping to get to both of them soon! I’m just finishing Bittersweet — definitely a page-turner! Now, what to read next??? You have quite the selection of books on your vacay! I just finished The Black Hour (love what the title means at the reveal) and We Were Liars. I just started A Man Called Ove and love it so far. I tend to read more than one book at once, so I’m not sure how to deal with that in terms of these questions…I’m almost done with The Crystal Cave by Mary Stewart, and I’ve just started Old Filth by Jane Gardam. I took a break from both to read A Walk in the Woods by Bill Bryson while I was camping in the White Mountains (because I could put it on the e-reader). Next I plan to keep going with the Old Filth trilogy. But I might get interrupted in that as well! Lory, I’m always reading more than one book at a time too — I like to have at least one “real” book going, one on my e-reader, and one on audio. I LOVED A Walk in the Woods — I was just in Hanover, NH yesterday and saw a group of Appalachian trail hikers, which made me think of that hilarious book. (Of course, I had to stop by the Dartmouth Bookstore while I was in town.) I really enjoyed Old Filth but for some reason haven’t read the rest of the trilogy. Ann, Just love your postings and look forward to them each week. The image of you and your mother reading lakeside is quite charming. 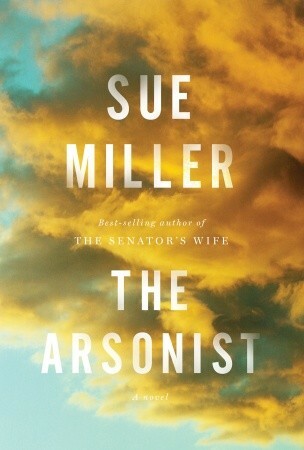 I too recently read The Arsonist and found the mother dealing with her husband’s dementia quite compelling. Also the locals/summer people/locals who used to be summer people was a side issue that resonated with me now that I live in Door County. Happy reading…and thanks for sharing. 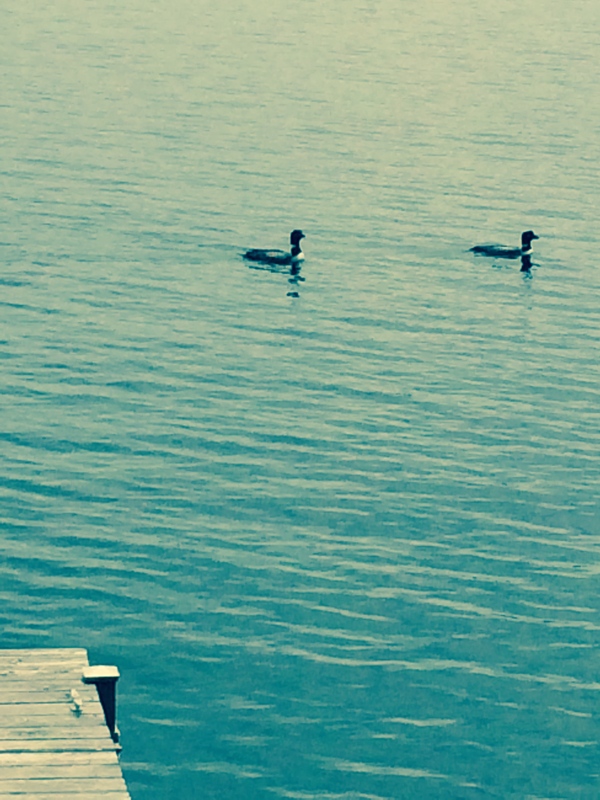 Enjoy the time on the lake. Gloria, so great to hear from you! I had the same reaction to China Dolls — I started it and never finished. Thanks for the recommendation of I Am Pilgrim — fun to read a thriller every now and then! I hope you’re having a wonderful summer. Ann, so happy to have discovered your blog! I read about it in Forest Bluff and spent some time going back to read older posts and discovering more books to add to my ever growing list. I just completed We Were Liars and was not disappointed. Its such a hard book to describe but I am encouraging others to pick it up. I am presently in Paris for work but getting to enjoy the weekend in the Paris countryside so I am looking forward to hours of uninterrupted reading. I am looking to either read The Red Tent which was recommended to me recently by two very different readers or The Black Hour. Thanks for bring the WWW Wednesday concept to your blog! Amanda, so glad to connect with you! Have a wonderful time in the French countryside — what a treat! I have to tell you I ultimately ended up being disappointed with The Black Hour. But The Red Tent is an old favorite. I just finished The Best Advice you will ever get by Katie Couric and loved it. She researched hundreds of leaders including the author who write the help and asked for their life lessons. Love the book!! i am reading and absolutely loving it Close your Eyes and Hold Your Hands by Chris B.
I will let you know. But I love your blog so much I read it all of the time. Am just finishing Melissa Hill’s “A Gift to Remember” and am enjoying it. And then will be “Indelible Ink” by Fiona MacGregor for book club. Oh, I think I would love A Gift to Remember because it’s about a bookstore. And Indelible Ink sounds great — I will add to my (huge) TBR list. Thanks! I’d love to hear your thoughts about The Good Girl. And I agree – I think that book is going to get a lot of attention very soon as an Indie Next Pick for August. Ann, I adore your blog. I love your choice of books. I love the way you cover them. You’re a real gift to the book-lovers blogosphere. Such an honor and pleasure to have you again on the Hump Day Blog Hop. You’re a treasure! Thank you. Thanks! I just got home from Sunapee and am already missing it . . . but I’m looking forward to another trip out there in a couple of weeks, this time for just a long weekend. It is a heavenly place! 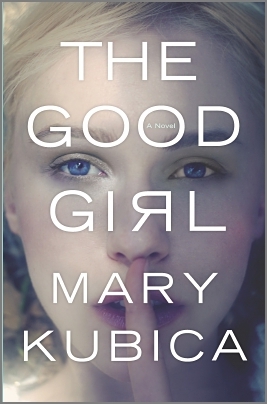 I haven’t read The Good Girl yet, but I will let you know! THANK YOU for your kind comments about my blog! I enjoy yours very much — and thanks so much for organizing the Hump Day Blog Hop. Hope you had a great vacation and are ready for re-entry. I’m currently reading a nonfiction book (I love nonfic as well as fiction), A Very Private Woman by Nina Burleigh. I’m listening to the audiobook The Girl with the Dragon Tattoo narrated by the talented Simon Vance. Enjoying both books! I am a huge nonfiction reader as well! Amanda Burleigh wrote a book about the Amanda Knox trial — very interesting. Oops, I meant Nina Burleigh! I hadn’t realized she had written about Amanda Knox. I’m really enjoying this book about Mary Meyer (A Private Woman). Her life was so much more interesting than her relationship with JFK and her untimely death. Oh goodness – so many more books for my ridiculously long TBR pile! Right now I’m reading Clara & Mr. Tiffany. (Love historical fiction and haven’t read any in a while.) Have so many things to choose from, I’m not sure what I’ll read next! I’ve heard great things about Clara & Mr. Tiffany — how are you enjoying it?